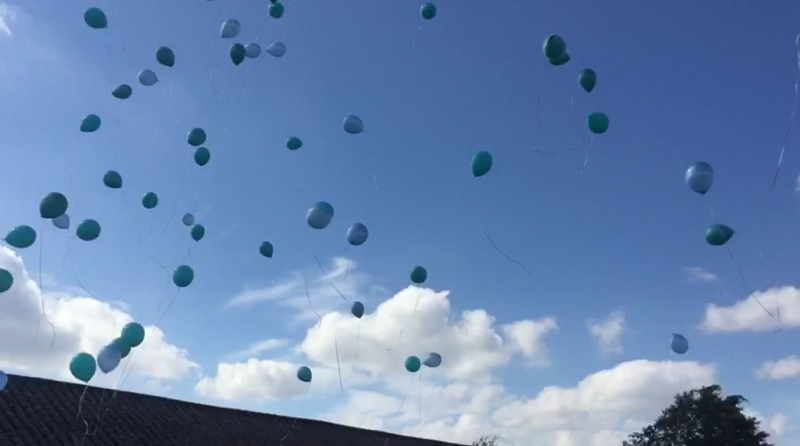 2016 marks 5 years since our first child and only son, Petroc, was stillborn. We wanted to do something special to mark this milestone, and while deciding what found the ‘5 for 5 Challenge’. This fundraising initiative was started by bereaved parents Aoife and John in memory of their son, Seamus, who would also have been 5 this year. The similarities in their story were too strong to ignore and we decided to get involved. The challenge to do something personal around the theme of 5, while fundraising for Sands. We challenged ourselves to 5 x 5km walks along 5 rivers in South East London. 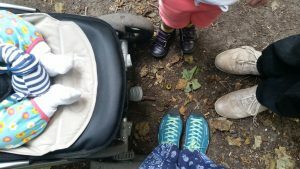 Over three weekends we walked along the Beck, the Pool, the Ravensbourne, the Quaggy and the Thames along with our daughters (3 years and 6 months old). Thanks to the generosity of our supporters we raised just over £1,200 which will be shared between Sands-UK and SEL Sands. In 2015 we decided a football tournament seemed the perfect way to celebrate our son’s birthday annually whilst raising money for good causes. This year, on August 21st, in honour of Caspian’s 2nd birthday, it felt right to donate all proceeds to SEL Sands as a thank you to the group that provided us so much support and friendship on our journey. Held at Long Lane’s Ground and with the involvement of two football clubs, four teams played off for the Caspian Cup. With the sun shining all afternoon, an inflatable slide and goal kept the children entertained alongside a barbecue and DJ. 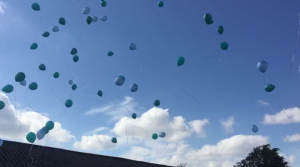 Releasing a sea of blue balloons into the sky to remember Caspian and all of our beloved babies felt like the most fitting end to a very special day. This year’s Cup was a huge success, raising almost £2,000 and we would like to thank all who came to share it with us and our amazing Sands friends who helped to make it so special. On Sunday 16th October, Kings’ NHS Foundation Trust is holding a Children and Babies Service in Orpington, at which all are welcome to attend. 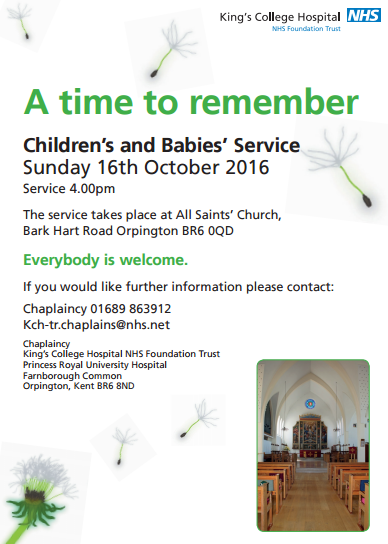 The service begins at 4pm, and details are carried in the below flyer (a larger copy of which can be downloaded here). On Sunday 21st August, the Caspian Cup Football Tournament will be held in Blackheath to recognise the 2nd birthday of Caspian, son of two of our members Ashleigh & Jerron who have organised the event, and we would like to encourage as many to attend as possible. The event will take place throughout the day, beginning at 10:45am and running through until 6pm, and will feature a series of family fun activities alongside a series of football matches at Long Lane Football Club. There will be a clubhouse with a bar, food, a bouncy castle and also a DJ on the day. Please join us on the day, spread the word, and help to raise money for Sands. Our annual butterfly release event will take place on Sunday, 12th June, once again in Greenwich Park..
From 1pm, please join us in the Rose Garden to meet with others and perhaps bring a picnic. Children are welcome, too, and there will be a release of butterflies to remember our babies. A small donation towards the event would help to offset the cost of the butterflies. Anyone who could be available to support the event at either station should get in touch with us and we can pass your details on to the organising team. The volunteers will simply be required to encourage commuters to donate cash to Sands and will be supplied with T-shirts (no fancy dress!). Please let us know if you can assist. As part of the review of maternity services currently being held by the NHS Maternity Review, an online questionnaire has been created for parents who experienced complications in pregnancy, neonatal admission after their baby’s birth, or whose baby died at any point during pregnancy or shortly after birth. If you received care from an NHS England maternity unit and would like to share your views on the services you received you can do so through this online questionnaire. The survey has been developed in partnership with Sands and Bliss. Views will be treated as confidential. The survey closes on 30 November 2015. After leading South East London Sands for more than 15 years, Julia and Tracey now feel it is time for them to step down. We are immensely grateful to them for the time and energy they have devoted to supporting bereaved families in south east London. To continue providing this support, we now need more volunteers to train as befrienders, who will lead and facilitate the monthly support group meetings on a rota basis. Sands will provide training, and Julia and Tracey have committed to support and mentor new befrienders during a transitionary period in early 2016. Meanwhile, a steering group is planning the future direction of SEL Sands. If you are interested in supporting bereaved families by becoming a befriender, please contact us for further details by Saturday 14 November. Please do consider taking on this valuable role, as the monthly support group may have to be withdrawn unless enough volunteers come forward. The seventh annual joint Sands, Bliss and Royal College of Midwives Conference on Uncertainty and Loss in Maternity and Neonatal Care will take place on 17th September, 2015. Along with professionals from a range of health roles, this conference is open for anyone to attend – you can apply to attend the conference here.